Navigating risk in complex business environments requires system-wide visibility, evaluation, and response. Governance, risk, and compliance (GRC) software can help you mitigate performance or security risks to ensure compliance with laws, statutory regulations, and industry standards. Watch partner New River Systems to learn how leading companies leverage GRC software today and how a best-in-class GRC solution can help your company gain greater visibility and control. Key drivers for GRC in the market and trends in GRC technology. Reasons firms invest in systematized GRC technology. How to use your GRC tool across various business lines and to uniformly respond to regulators. Ways GRC tools and techniques inform operational risk management. How Infor and New River Systems help companies simplify their GRC processes. 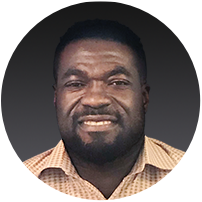 Emmanuel Twum is the Vice President of New River Systems’ ERP Advisory Services and holds degrees from Westminster College and DePaul University.